the main Food & Drink Hamper and T. Evans winning the 2 First Class train tickets to London. Thanks to everyone who supported this yearly raffle. Summer Fair 2016 - What an amazing total raised - over £1680!! The weather held for us again this year with a fun filled afternoon including Punch & Judy, BBQ, KMX bikes, Raffle and Mr Flanagan having sponges thrown at him for most of the afternoon! The amazing attendance and support from parents and the local community meant that we raised over £1680 this year an enormous total so thank you! This years fashion show by Red Frog Fashions took place on Monday 23rd May. We sold nearly 80 tickets and raised £396.60 through refreshments and raffle - what a fabulous total! The Junior pupils enjoyed watching 'Inside Out' whilst munching on popcorn. Choccy Bingo March 2016 - £454 raised - thank you! There was a packed hall again this year with some very lucky winners - thanks goes to Thorntons for sponsoring the event again. Our thanks go again to Matt & Lisa Brewin for organising the evening - we saw a packed function room at Shirland Welfare raising £156 for PTFA funds. Mrs G. Rose winning the main Luxury Food & Drink Hamper. Our infant children enjoyed watching The Snow Dog and The Snowman whilst eating popcorn and raised £90 at the same time! 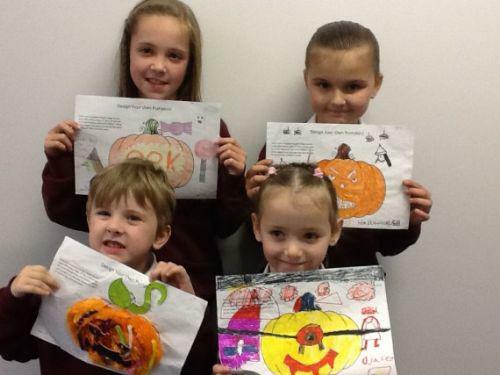 on Friday 23rd October raised a Spooktacular £225.24!! We raised an amazing £1500 from a fun filled afternoon - thank you for your fabulous support! 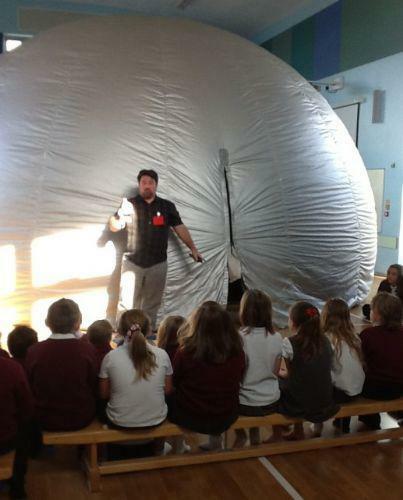 The school hall was transformed into the Solar System during the recent visit from Polestar Planetarium in which every child was able to take part - pupils and staff had and amazing informative experience. Chocolate bingo - March 2015 - £426 raised! A fun filled family evening with some lucky winners leaving with arms full of chocolate. Special thanks to Matt & Lisa Brewin Quiz Masters Extraordinaire! ate goodies raising over £159 along the way. Thank you to everyone who supported us at the Halloween Disco. The turn out was great and we raised in excess £180!!!!!!! Thank you to the Shirland Miners Welfare for your continued support and use of the function room. The 2013 disco raised an amazing £136.70. Thank you to everybody involved. 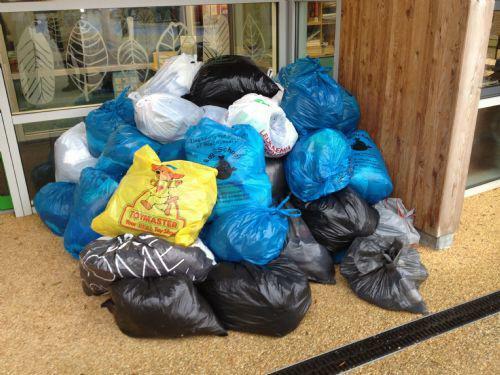 Thank you to everyone who had a clear out for our bags 2 school collection. It really makes a difference to our fundraising year. Thank you to everyone who came to the Fashion show. A fantastic time was had by all and around £300 was raised. Andy Tooze 'The Poet from the Peaks' visited school on Monday 11th March to share his poems and work with the children to create their own. 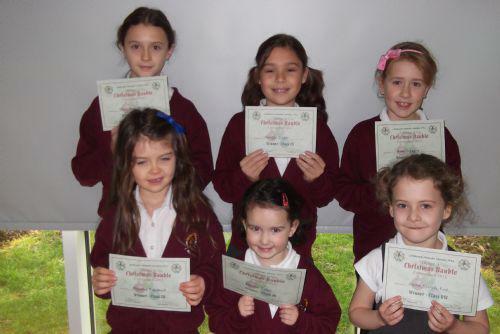 Every child at school was inspired to write a poem and at the end of the day they were shared and celebrated during a special assembly. The PTFA funded this fantastic experience and it is great the children enjoyed themselves so much. You never know, it may have inspired a poet of the future! Your continued support at events throughout the year means that the PTFA has the funds to pay for these unique experiences for all our children. Again we would like to say thank you. 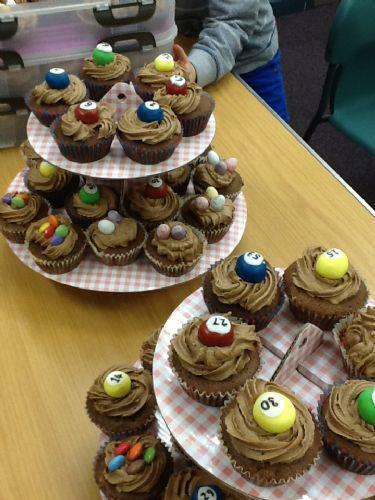 Our first chocolate bingo evening took place on Wednesday 20th March. The school hall was filled with families who had come along for a chance to win many impressive chocolate prizes. As the evening moved on, the prizes got bigger, the tension mounted and excitement grew. It was a very enjoyable evening and over £250 was raised. Fantastic! ...Shirland Welfare for the loan of their bingo machine, Mrs Buxton for calling out the numbers throughout the evening, Sarah Naylor and Thomas and Eleanor Brewins Grandma, for the amazing cakes on sale, the PTFA for organising and volunteering in lots of different ways, parents and friends for the chocolate donations, Thorntons for the chocolate prizes and all the adults and children that supported the event by coming on the night. A big thank you to all the teams who entered this year's quiz and the team of PTFA volunteers who worked behind the scenes to make it a success. A special mention needs to go to Lisa and Matthew Brewin who prepared the questions and acted as ‘Quiz Masters’ on the evening. Thank you. 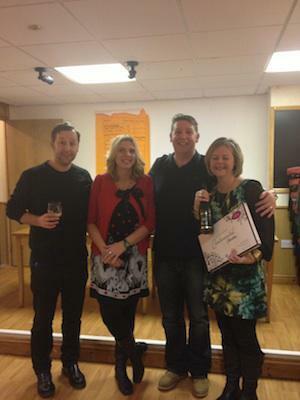 Congratulations to 'Tequila Mockingbird' who scooped the title of ‘Quiz Winners’. Quiz and raffle tickets sales raised £139, a fantastic amount! As always, the money raised at every PTFA event goes towards purchasing additional educational equipment and improved facilities for the pupils at Shirland School and we thank you all for your continued support in helping us achieve this goal. 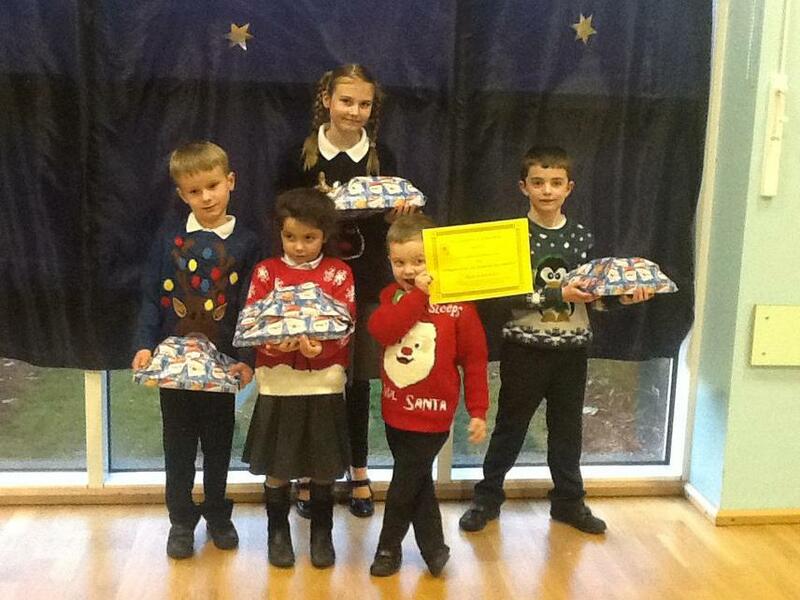 The Shirland Christmas Concert on Saturday 8th December was a great success. Children from Shirland Primary School started the Christmassy event with renditions of Rockin Around the Christmas Tree, Rocking Round the Shops, A Starry Night and We Wish you a Merry Christmas. The very talented Shirland Welfare Training Band followed and the Main Band ended this very festive evening. 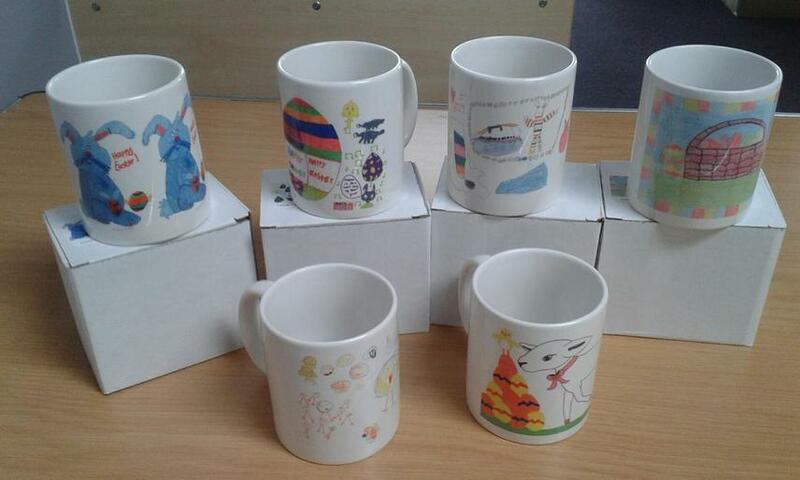 During the interval the PTFA sold refreshments, Christmas gifts and lucky dip goodies. At the end of the evening the luxury hamper raffle was drawn and one lucky winner went home with a very impressive and very luxurious hamper. A big thank you to everyone who helped organise the event or donated items for the raffle prizes. 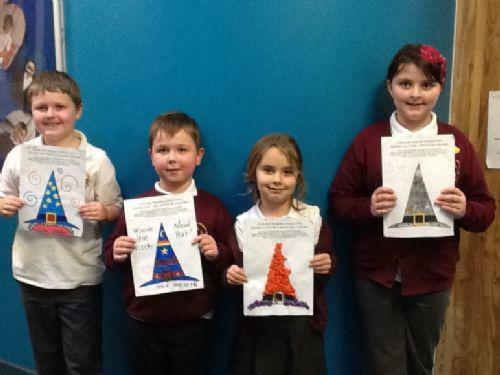 Congratulations to the Christmas competition winners! 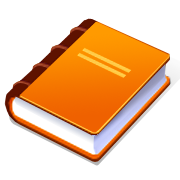 During the Book Fair the PTFA gave every pupil £5 to spend and just over £1000 worth of books were sold in total. As a result the school can now spend around £650 on books to replenish class bookshelves and the school library. A great result. Thank you to everyone who helped out throughout the three days.